Apple has been coming out with newer, better, sharper and sleeker phones ever since the iconic iPhone made its mega debut in 2007. Now, a decade later, Apple’s iPhones are still reigning supreme. The company celebrated the iPhone’s 10th anniversary with a line of phones that hit the shelves in late 2018. Kicking off with the much anticipated iPhone X, followed up with the iPhone XS, iPhone XS Max, and finally, with a more economical variant of the X range, the iPhone XR. So, if you consider yourself an Apple devotee but have grown tired of your old phone, then you could sell your old iPhone and get an upgrade. With environmental concerns and the problem of accumulating e-waste, the best practice would be for you to recycle your old mobile phones. If you’re not too sure about how to recycle mobile phones, then you could start with one of best mobile phone recycling site in the UK. You can look for more options and compare mobile phone recycling sites and find the option that give you the maximum return. Now that you have an idea about how to sell your old iPhone, let’s get started on the journey to help you find your new smartphone companion. Some of the factors to consider before buying a new phone are the screen size, battery capability, camera etc. Below, we’ll take a look at the latest iPhone models that have been making waves since they were unveiled. The iPhone XS was unveiled in September 2018. It has a glass back and front reinforced with a stainless steel frame. The phone has a spacious 5.8-inch super AMOLED True-Tone display with scratch resistant surface. It is backed with an A12 Bionic chipset and the iOS 12.1.3. The device has a massive 2658 mAh battery and supports wireless charging too. The XS doesn’t have the 3.5mm headphone jack, to the dismay of many phone users around the globe.The much hyped Face ID is also present as the device’s security option. The main 12-megapixel dual camera produces great quality images and offers 2 X optical zoom, while the 7-megapixel selfie camera has a wide f/2.2 aperture lens. If the iPhone XS sound like the right fit for you, sell your old iPhone and bring home a shiny new one today. Here’s a guide on how to compare mobile phone recycling prices to sell your phone. The iPhone XS Max is larger than the XS discussed above. If you need an even more spacious screen, then you’ll be pleased to know that the XS Max boasts a massive 6.5 inch super AMOLED True-Tone display. This is great for game enthusiasts that are looking for a phone that provides an immersive gaming experience. The phone is similar in appearance to the XS and has a classy glass body with a stainless steel frame. It is available in three colours: space grey, silver and gold. The device comes with an impressive 3174 mAh battery, 12-megapixel main camera and a 7-megapixel selfie camera, both give excellent results. Unfortunately, the headphone jack is missing on this one too. A brand new XS Max will set you back by a lot. Sell your old iPhone on an online mobile recycling site and get some cash in return. Rest assured that your old mobile phone will not simply go to waste. The more economical variant of the X series hit the shelves in October 2018 and people have been loving it so far. For users that want their smartphones to be sleek, with a good battery life and a bit on the lower end of the price spectrum, this phone is just the thing you’ve been looking for. The iPhone XR looks stylish with a glass body and is secured in a sturdy aluminium frame. It boasts a 6.1-inch True-Tone display with a 12-megapixel single main camera and a 7-megapixel selfie camera. This one’s missing the headphone jack too (looks like it’s gone for good, guys). The phone’s battery is an impressive 2942 mAh and wireless charging is available, too. The phone’s OS is upgradable to iOS 12.1.3. The iPhone XR is available in 6 enticing colours: Product red (our personal favourite), yellow, black, blue, coral and white. So, have you found what you’ve been dreaming of? Compare mobile phone recycling sites; sell your old iPhone for a solid price and get yourself a glamorous iPhone XR. Let’s not forget the slightly older model that kicked of iPhone’s 10th anniversary. 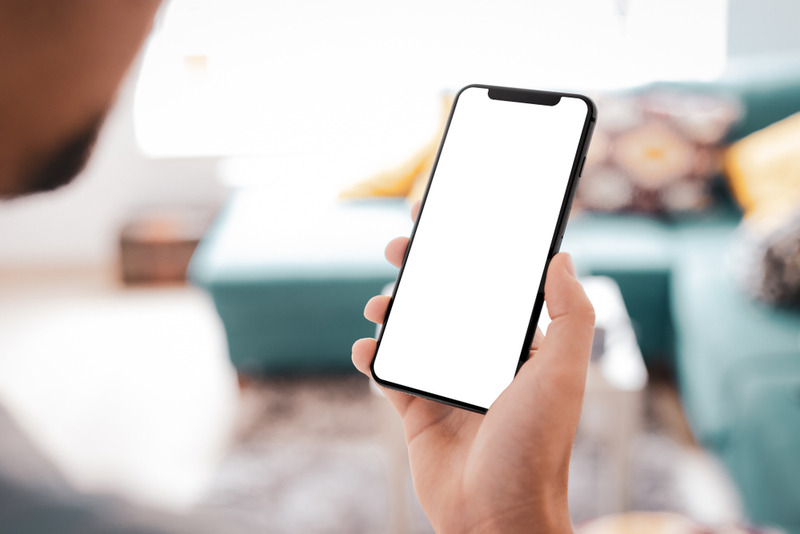 The iPhone X was released in November 2017 and became the first phone in iPhone’s history to sport the OLED display. The home button was ditched in this model and Face ID also made its debut. The phone has a glass body and a stainless steel rim. Its 5.8-inch True-Tone display and overall build/design were a unanimous hit with the critics. X is equipped with a dual 12-megapixel main camera and a 7-megapixel selfie camera with f/2.2 aperture. The 2716 mAh battery packs sufficient juice and Qi wireless charging is also available. The iPhone X reviews are mostly positive. If you’re thinking of upgrading tothis model, sell your old iPhone and gain something out of it. Put that money into your upgrade, you’ll be helping yourself and the environment. If the X series doesn’t quite do it for you and you’re okay with opting for an older, more compact model, you could go for the iPhone 8 instead. The iPhone 8 was released in September 2017. Its glass and aluminium build give it an exclusive charm. The device has a smaller 4.7-inch True-Tone LED-backlit display which makes for a crisp and vibrant viewing experience. The phone is equipped with a capable 12-megapixel main camera and a 7-megapixel front camera. A decent 1821 mAh battery is present and the device offers wireless charging as well. If you prefer the Fingerprint ID more than the Face ID, then you’ll be pleased to know that the iPhone 8 comes with Fingerprint ID as security. Get yourself an iPhone 8 upgrade and sell your old mobile phone on the best mobile phone recycling site for decent cash. Rest assured that your old phone won’t go to waste and you won’t be adding to the e-waste problem our planet is suffering from.